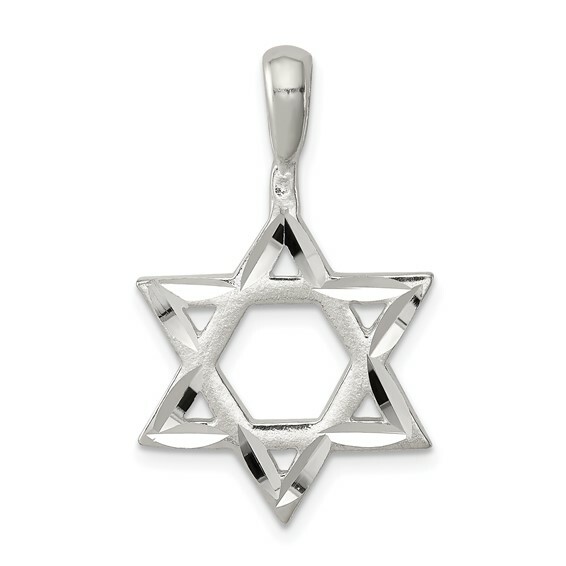 Diamond-cut star of David pendant is made of solid sterling silver. Measures 13/16 inch tall by 11/16 inch wide without bail. This item is slightly larger than a penny. The six-pointed star is the central symbol for Judaism. Weight: 2 grams. Made in USA.